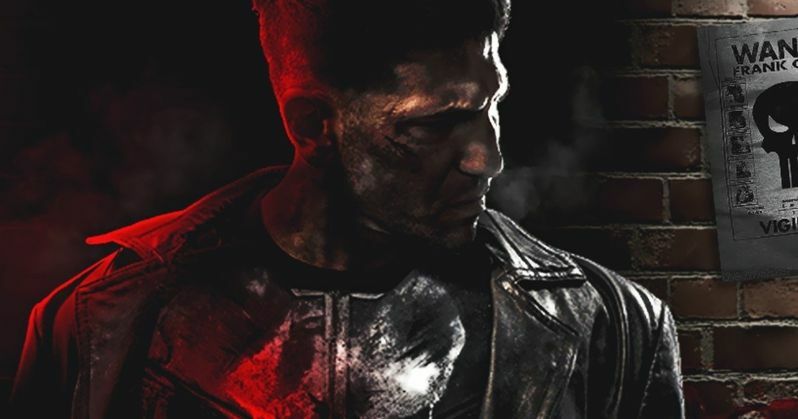 Earlier this week, some eagle-eyed fans noticed that Netflix already has a listing for The Punisher spinoff series, which reveals that the streaming service is eyeing a 2017 premiere date. Marvel and Netflix haven't confirmed this date, or any other details about the series, but today we have a report that claims Netflix is currently casting an iconic Marvel Comics character that will debut on the show. There may be potential SPOILERS for this series, so read on at your own risk. MCU Exchange reports that auditions are already under way for several different characters for this spinoff series, one of whom is David "Microchip" Lieberman. The character is being cast under the fake name of "Dennis Landstrom," which is said to be a typical Marvel casting technique, using the initials of the actual character to come up with a fake name throughout the casting process. At this time, we don't know if there are any front runners in this casting race quite yet. The site also has an excerpt of a scene the actors are using for the audition process, which features Microchip tracking down Frank, who isn't supposed to be found at all. Microchip reveals that both Frank and himself are "after the same people," and that he's in the same boat as Frank, since these people they're after took away his family as well. At the end of the scene, Microchip reveals the name Nicolas Simon, offering to become "partners" with Frank Castle. We don't know for sure if that scene is part of the actual series or not, or if it was just written for the audition process. During the Season 2 finale of Daredevil, Frank Castle said his final farewell to his late family before truly becoming The Punisher, when he pulled a CD out of a picture frame with the word "Micro" written on it. Most fans noticed that this was a reference to Microchip, but this is the first we're hearing that he may be a part of the Punisher series. We'll have to wait and see who is eventually cast as this important character. In the Marvel Comics, Microchip is one of The Punisher's most trusted allies. He is a hard-drinking computer hacker who often provides Frank with technical support during his missions, and even supplies him with some high-tech gadgets. Production is expected to begin shortly after Season 2 of Jessica Jones wraps, but we don't have an official start date from Marvel quite yet. We'll be sure to keep you posted with more on The Punisher as soon as we have more information.